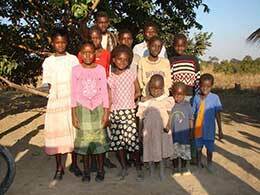 Kamatipa, a small rural village of several hundred located in the Copperbelt of Zambia, is home to many orphaned children who are in desperate need of food, clothing, bedding and assistance with school fees. Kamatipa is on the outskirts of Chingola and is in a very remote area. Many children are unwell due to lack of food. Rebecca Kaumba and Jeremiah and Faides Chiyesu are friends. They were concerned about these vulnerable children in the little rural village in which Jeremiah and Faides had settled so they decided to do something about it. They recognised the need to care for the children in the community who were orphaned due to the HIV/AIDS pandemic. 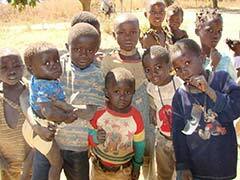 They work to find guardians for the orphans and identify children in the community that are in need of assistance. Together with them, Bright Hope World now supports 12 vulnerable children from Kamatipa village. Eight are living in the village and four are living in the nearby township of Ndola to go to secondary school as there is no secondary school in Kamatipa village. Sadly, Jeremiah passed away in 2016 after battling illness. Currently in Kamatipa village the baton has been passed on to Evans Doygie (on left in photo) who has been a long-time friend of Jeremiah's, having his own shop and being a leader in the church. Kamatipa is an hour from the main road, a 1½ hour drive from the closest town. However, the people of the village have no transportation. They must walk or bike with their produce to sell in the markets. The entire village gets their water from a tiny, difficult to access spring, a process that can take an hour. The extreme poverty of the area makes everyday living a struggle to simply survive. 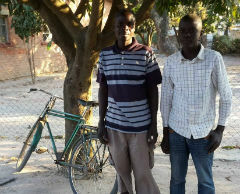 BHW started helping here in early 2005 by assisting 20 children to get to school. During 2007, 11 children on the programme and their families were repatriated by the United Nations back to Angola from Zambia. They were refugees from the 1970’s and 80’s, Jeremiah was a refugee from Angola too. New children were added and the total number increased to 30 by 2010. Since then the number of children has reduced but the costs of secondary school education are much higher so the funds have been increasing. The beneficiaries are the 12 children who have been orphaned and who live with guardians in the village of Kamatipa or relatives in Ndola while at secondary school. Jeremiah and Faides (centre in photo) chose to live in this area. Initially they went there to farm and to plant a church which they did successfully. The church is now functioning well with more than 100 people in it but of course, many orphans turned up in church as part of church families or attending Sunday School and other programmes. They have four of their own children and numerous other kids “live” at their place. Jeremiah and Faides are both graduates of GLO Zambia and while there were challenged to give their lives in ministry which they have done. Rebecca Kaumba (left in photo) comes from this area and is good friends with the Chiyesu's. She is involved as a full time House Mother at Amano Christian School looking after orphaned children in nearby Chingola. She is a single mother of a number of adult children. Her role in this partnership is to visit from time to time to make sure that the programme is running smoothly. Evans is the new person involved in the partnership. He loves farming, wants to help guardian families by teaching farming, and runs his own shop. 1) Helping to set up farming training and guardian empowerment programmes to increase contact with the families in the community. 2) Assisting the children to attend school - the children need school supplies, uniforms and school fees. 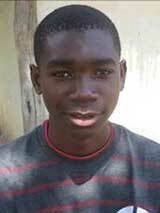 Nathan is currently boarding at Kakubula Basic School. He does find it difficult to walk five hours to get there every week. 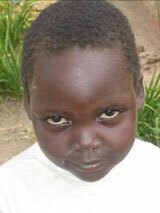 His family could not afford to pay so he is very thankful that Bright Hope World is able to help. He believes he is very blessed as there are many other orphans that need help. When Nathan grows up he intends to go to mission school and become a missionary. His current job is to assist his step-father to cultivate and care for their vegetation. Problems: Many other boys his age like to drink and steal, especially those who do not know God. This problem may be because some cannot go to school, have too much time on their hands and don’t have parents or their parents can't afford for an education. Sometimes these young people put pressure on Nathan to lie and register them for school. Hobbies: Nathan likes playing football and studying. Katemba lives with her father's elder sister. A few years ago her mother died and her father became mentally disturbed and left her and three siblings alone. Katemba and her two younger sisters started to stay with her aunt after they were found, her baby sister went to another aunt. Soon after this Katemba’s father returned to reclaim the children. The three girls went with him to Chingola where he had a job cleaning the public toilets. Although Katemba’s father had a job he had nowhere to stay and so her and her two siblings slept at the toilets behind some large barrels of water. Rebecca (from GLO) got word that there were some children staying in the toilets so she went to see for herself. When she arrived there she found the girls begging from the people entering the toilets and being watched by the day time toilet attendant. Their father was out drinking. When Katemba’s father was found Rebecca demanded that he take the girls back to the village. He did take them back to live with their aunt who is old and sick and is no longer able to work in the garden. The family rarely has a meal. She wants to put the girls into an orphanage but does not know where to take them. Katemba likes to go to school. When she grows up she wants to be a teacher. She enjoys playing jack stones with her friends. She helps her aunt by carrying large loads of maize to and from the grinding mill. Interviewer Comments: Katemba had a cold when I talked with her. She was hungry and barely spoke above a whisper when asked a question. When observing her with the other children she sat alone on a log and did not move or interact with any of the children. She just stared into the distance. She desperately needs help.